Looking for coaching support on your health journey? Join the team! After 10 years of coaching a local triathlon team in Northern Utah, we’ve decided to take the team NATIONAL. This adult team is for all level of athletes living in the United States. Beginners welcome. Custom training programs are available for all triathlon and duathlon distance events: Sprint, Olympic Half Ironman and Full Ironman events. No experience is needed and beginners are welcome and encouraged to be a part of it! We will help you reach your goals! “I joined TBR in January. Not only did I improve in my cycling, but I also PR’d in my half marathon by over three minutes! I contribute a lot of the extra speed to Coach’s awesome and fun track workouts. If you are just starting out in triathlons, or are competing at a high level. Coach Lora is a great, enthusiastic coach who loves the sport and can help get you to where you want to be.” ~ D. H.
“I am so happy with how I did today in my Sprint Triathlon!! I improved my time by about 6 minutes. Thank you Coach Lora Erickson for all of the support and advice you have shared with me and thank you to my team for your support! !” ~ T. M.
“Coach Lora, Thank you for changing my life. This has been an awesome year! Challenging, inspiring, and completely amazing!!!!! I appreciate all the insight and feedback you have given me. I love this team and have truly enjoyed this experience. Thank you and looking forward to next year! Go TBR! !” ~ P.S. “Thanks Coach. My longest ride ever and I used so many of the things you taught us (cadence, proper aero position, pedal stroke, and more). The bike clinic at Bountiful Bike came in handy to. Anyone getting in the sport needs to look you up.” ~ S.S.
“Winter training really pays off. Scott and I rode up Emigration Canyon tonight and beat our best time and speed. Pretty good for the beginning of the season. Thanks Coach for the great training. ” T.D. “Coach. I’ve been thinking about the triathlon and our training so much today. I’m really amazed at the volume of things you’ve trained us on that were running through my head during the triathlon (and it was really your voice I was hearing). My husband and I went on a bike ride this morning and I was in my own world during the ride recalling tons of pointers I’ve heard you say and realizing how much I’ve learned about FOUR sports already. You’ve provided us with great information ….such great training and race tips and strategies. You’re a great coach. You have so much experience and knowledge but you are so organized and passionate which sets you apart from other coaches. You obviously think through everything in great detail so you are able to recall it all and express it so clearly to us (ie what we need to do, feel, and not do, etc). Very few people can do that. And you do it extremely well.” ~ S.K. “I have to tell you how much I enjoyed the workout this morning. I haven’t been pushed that hard in a long time. I love the feeling of being sore knowing how much this will improve my overall fitness level. Thanks for spending time creating such a great workout!” ~ D.H.
“Triathlons used to intimidate me and I always thought I had to be working out like a maniac in order to compete in one and I just didn’t know where to start. A few months after I had my 2nd baby, I decided to try a 6 week triathlon training program Lora organized. One of the best choices I have ever made! I was soon hooked into working out with others to train and Lora was so fun, patient, and knowledgeable. I had such a good experience I decided to join the triathlon team in 2012 and I am so glad I did. 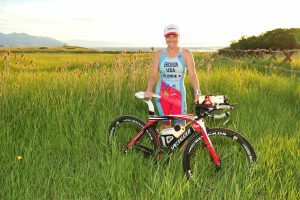 Thanks Lora for sharing your knowledge in such a fun, positive atmosphere and showing me that I am capable of much more than I ever thought and completed a few triathlons. I will never be able to train with anyone else after working with someone as amazing as Lora.” ~ T. J. “I have really enjoyed TBR and have made some good friends. You foster a family atmosphere and I have been received with open arms from our first team meeting. 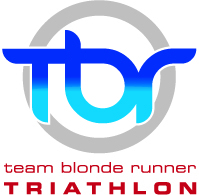 I appreciate you extending me an offer and I have become a better athlete because of my time with TBR.” ~J.P. “I love how my body is starting to look and I’ve never, ever felt this much power in my legs. On my commute home last night, each time I thought I was ‘slacking’ I’d look at my speedometer and see I was pushing 20, 21 MPH. Tri training WORKS!” ~ J.O. “I am glad I joined your team. This week I reached two major goals of mine! Thank YOU! It was nice to have you push me. I’m so excited to continue improving.” ~ S. S.
“Lora, you are the best coach ever! Thank you do much for warming up with me. Listening to your counsel gave me the confidence I needed to meet my goal. I felt really good during the race. I kept looking down at my watch during the race thinking I wasn’t pushing myself hard enough and was so surprised to see my pace at 7:30 for most parts. Training with you has helped me so much. I’m so excited for this season! My goal is it get under 22 by the end of the season. I would’ve never thought that possible just a few months ago. Thanks for everything you do! ~ R.B.